Ax Allwardt and Battle Cat. I could see Ax beating up He-Man, piledriving him and then fading off into the sunset with the Master of the Universe's prized pet. 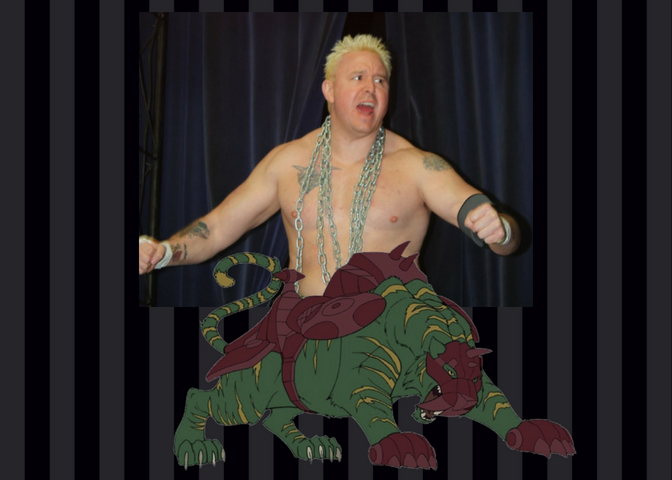 Not only would Ax take Battle Cat, he'd also leave the castle with He-Man's sister She-Ra to leave happily ever after. That's just how Ax is. As Jim Ross would say, he's tougher than a two dollar steak. 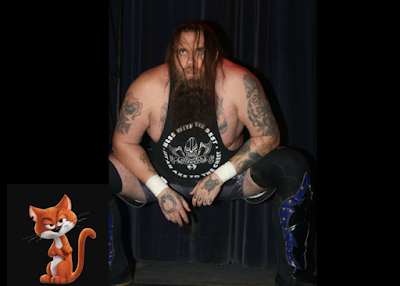 Someone else who is tough on the Stride roster is Roger Matheus. You've likely read the blogs and listened to the podcast about our match. Since there is that rivalry between us, I imagine his feline of choice is Azarel. You know, he's the pet of Gargamel and the mortal enemy of the beloved Smurfs. The Smurfs were my favorite cartoon growing up in the 80s, so it would only seem fitting the Mad Viking would make Azarel his own. However, if Matheus wants to destroy something he will, unlike Gargamel. It would take more than the magic of Papa Smurf to keep that duo at bay. Yes, Dexter Roswell wants to 'Make Stride great again.' He's also got the backing of the mutli-millionaire J. Wellington Beauregard in his quest. Therefore, I see Roswell withMr. Bigglesworth. I'm not saying Roswell or Beauregard are evil like Mr. Bigglesworth's owner, Dr. Evil from the Austin Powers franchise. But I do think both men will do whatever it takes to rule not only Stride Pro Wrestling but all of wrestling. 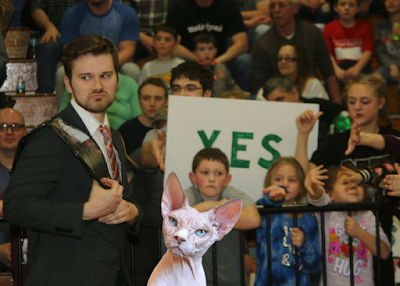 It only seems fitting that Mr. Bigglesworth would be purrrfect for Roswell. So who do you have? 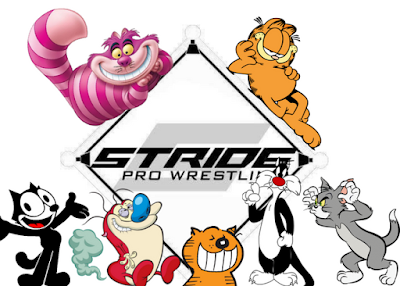 Which cats would you pair with members of the Stride roster? Let us know here or on the Facebook page.